For so long, the story has been that men, not women, are the risk takers in life. Does that still hold water? Current studies would suggest that such stereotypes aren’t valid when it comes to women in business, where they are demonstrating courage and are driving profitability. Women mitigate risk by taking time to evaluate their options, weigh the costs not only for themselves but for everyone involved in their company, and understand the long-term ramifications of their decisions. It’s not that women can’t jump in with both feet, they choose to take a more measured, and often more successful approach. I am not suggesting that one approach is better than the other. In a perfect world, boardrooms around the globe would have the best of what each gender brings to the table, by creating a balance of male and female executives. Put a label on it – The scary part of risk is the unknown. Your mind can fill in the gaps with all sorts of limiting thoughts, if you let it. But this kind of fear is imagined, and therefore loses all it’s power when you can determine the source of it. Keep your thoughts focused on your desired outcomes, and don’t allow your mind to create spooks that aren’t there. A risk is not the same thing as a gamble – When you gamble, you leave everything to chance. Taking a risk is not the same thing — it involves carefully weighing the costs and benefits before making an informed decision, a strategy that women use in all areas of life. Once you have done your due diligence, push yourself to make a decision. Nothing will drive a business into the ground faster than analysis paralysis. Be willing to accept failure as an option – Does that sounds defeating? It’s not meant to, and here’s why. Risk should never be viewed as an all or none proposition. You have to be willing to lose sometimes, for the opportunity to win. Calculated risk can reap huge rewards, but there may be times when things just don’t pan out. The most significant reward is always in the experience, and you must have the mindset to take the bad with the good if you want to be successful. Women are raised to be risk averse, where boys are challenged to push the limits. Don’t resign to be limited by your upbringing. You have a natural ability to reach for the brass ring as much as men do. There are no insurmountable obstacles preventing you from becoming a woman of influence, like those invited to this year’s “Alley to the Valley” conference, unless you put them in your path. “…we need to (as a society) place a higher (not lower) value on risk-taking, and encourage those who are more tolerant of a higher level of risk to form an expanding community – sharing their experiences, their successes, their challenges and their learnings.” What changes will you begin to make today to become a member of this community, and be willing to share your successes, as well as your failures, to inspire future entrepreneurs? This entry was written by Dr. Shannon Reece, posted on December 7, 2010 at 10:30 am, filed under Alphabet of Entrepreneurs, Aspiring Entrepreneurs and tagged businesswoman, entrepreneur, risk, startups, strategies for women. Bookmark the permalink. Follow any comments here with the RSS feed for this post. Post a comment or leave a trackback: Trackback URL. Interesting thoughts. I must be an outlier because many of my friends and family describe me as someone who rushes in where angels fear to tread. That’s not to say I don’t consider the downside. I just have an innate belief that there ARE solutions, one must simply find them or create them. 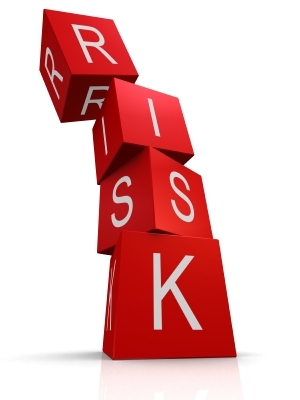 Risk can be quantified and contained, therefore overcome.